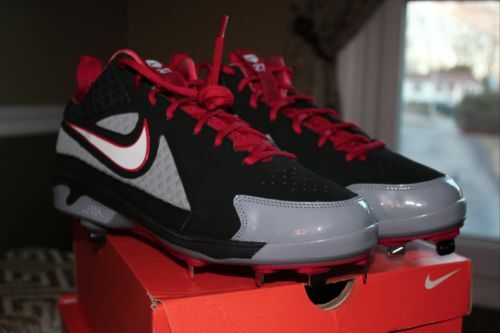 Rob Li spotted these for us, a rare find, Mike Trout’s special make-up Nike metal cleats available on eBay. If you need a refresher on these, visit Trout’s profile. The auction ends at 3:51 Pacific time today. UPDATE: Somebody snagged ’em for $350. Was it one of us? I hope.